Imagine if you could take most of the mystery out of your marketing and get up to speed on the latest techniques that are working in professional services marketing. Developing a marketing plan will accomplish both of these goals. Our marketing planning process consists of a series of virtual meetings to define your business goals, the type of client you want to attract, what’s unique about your firm, and what resources and skill sets you currently have to work with. Once the above items have been defined, we present many options to accomplish your marketing objectives. We’ll help you build your referral sources, improve your digital footprint, and suggest additional ideas to help you achieve your desired results. 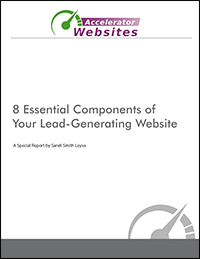 This entire process is led by Sandi Leyva and fully customized to your organization. The fee for our marketing planning process is a flat $1,500. This fee is good for firms with 20 employees or less. For firms with more than 20 employees, please call for a quote.